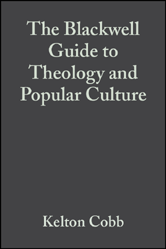 The Blackwell Guide to Theology of Popular Culture outlines various general theories of popular culture, identifies theologians and theological concepts that are conducive to analyzing popular culture, and explores religious themes that are asserting themselves through popular movies, novels, music, television shows and advertising. A timely examination and contribution to the rapidly expanding field of theology and popular culture Locates the theological analysis of culture alongside political, sociological, economic, aesthetic and psychological analyses Surveys the work of religious and theological scholars who have turned their attention to popular culture Considers classic Christian thinkers who have wrestled with culture, such as St. Paul, Tertullian, Augustine, Schleiermacher, Tillich, and Ricoeur Proposes a method for analysing culture to discern its religious content Identifies religious themes in popular culture Uses illustrations, ranging from the fiction of Nick Hornby to Six Feet Under. An appendix provides lists of films, novels, television series, consumer products, architectural works, cultural events, and corporate icons that lend themselves to theological analysis.